It was over one year ago now that the first preview of the upcoming attraction was added to the construction site – a giant billboard on top of La Terrasse. Reading “Préparez-vous pour le grand saut! … Get ready for the BIG DROP!” and showing a darkened illustration of the finished Hollywood Tower Hotel, the board mentioned neither an opening date or the attraction’s actual name. Now, a second phase of preview decorations have been added to the expanded construction walls mentioned yesterday, with a strictly more extravagant Hollywood style. Although, having said that, the new decorative boards which stand out the most are the grimy, rusty Service Elevator doors modelled on those in the attraction itself. Credit to burne on Disney Magic Interactive Forum for capturing these latest photos from the park. Taking up two wall sections each, the false doors feature a large number “13” as a foreboding warning, and are joined by large reproductions of the recognisable “HTH” (Hollywood Tower Hotel) symbol on either side. Several of these “Service Elevators” are featured along the length of the fences bordering Disney Bros Plaza and Place des Stars, whilst between them, separated by three fence sections, are smaller placards displaying a visual of the final attraction and some brief preview text. was a star in its own right. And it’s happening once again. These signs are the very first mention of the attraction’s name within the park – no longer will passing guests point towards “The Big Drop”. And perhaps more importantly, The Twilight Zone itself is very prominently mentioned, finally putting to rest the discussion of its inclusion in the Paris version that has been simmering ever since the new attraction was first announced in January 2005. The full French name as rumoured many months ago is also confirmed. Taking the style of “Les Tapis Volants – Flying Carpets Over Agrabah“, the official in-park name will therefore be “The Twilight Zone Tower of Terror – Un Plongeon dans la Quatrième Dimension” (A drop into The Twilight Zone). Try saying that after you’ve just fallen from the 13th floor! However, in a similar style to “Buzz Lightyear Bataille Laser“, the attraction will be advertised in France with the much more marketable “La Tour de la Terreur”, ensuring the audience understands the concept whilst keeping a quick and punchy title. For guests wondering what on earth the enormous 183-foot construction is, these fantastically well themed fences (at least considering DLRP’s history in this department) should now provide a vital preview over the next nine months. 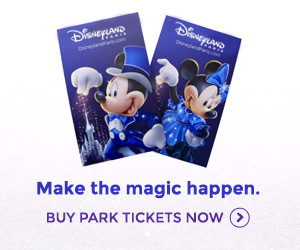 Conveniently, they’ve also been added just in time to catch the extra Anniversary guests of April, before then lying in wait for the stampede of newcomers to Toon Studio in June – hopefully giving them all a reason to return when those Service Elevator doors open. Through quite a powerful editing of the text to describe simply “something”, the suspense and tension of The Hollywood Tower Hotel should now be capturing guests long before the January 2008 opening. See – the mystery is working already! Photo 1 by Photos Magiques. All other photos by burne, Disney Magic Interactive Forum.